Maya Salkiewicz. Powered by Blogger. 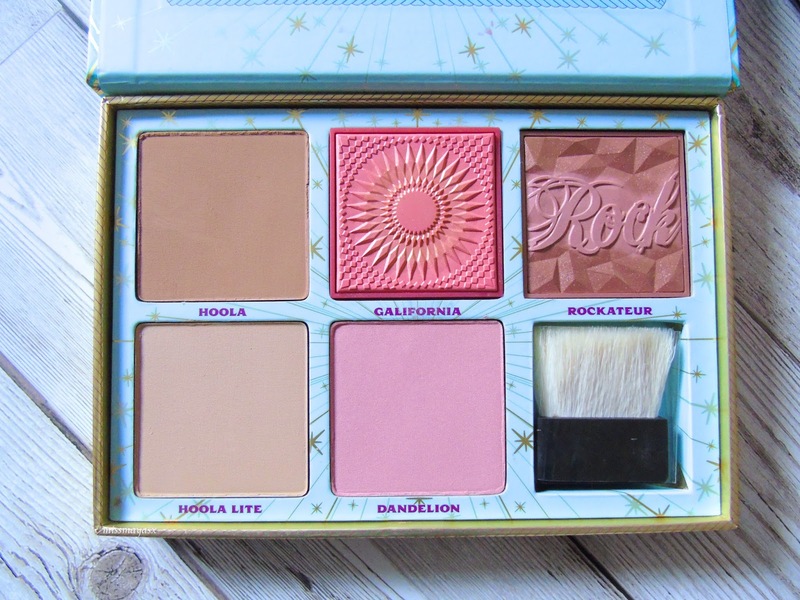 I knew that the initial release of the Hoola Lite wasn't for a while, so I decided to get this Cheek Parade palette which retails at £49, which isn't the most affordable palette however you get 2 bronzers and 3 blushers that usually cost £24.50 each. Another reason for why I bought this was that it actually includes the newest blusher Galifornia - yes, please! The Benefit Hoola bronzer has been my favourite matte bronzer since the day I bought it (roughly around 1.5 years ago, and I must say it was a life changer. 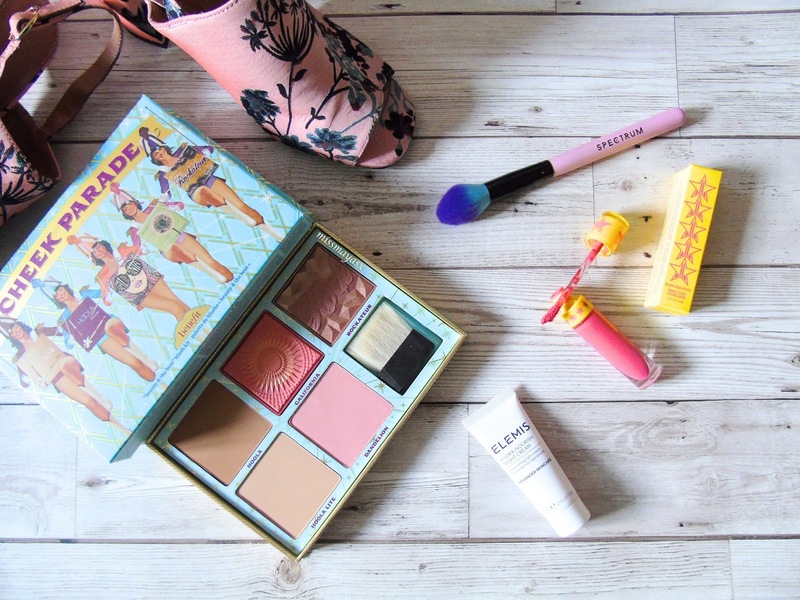 So, when I heard about Benefit bringing out a lighter version of their original bronzer I was over the moon as I am naturally very pale so the original Hoola can sometimes seem a bit too dark to wear, especially in Winter. The Hoola Lite, on the other hand, I feel will be amazing for me to wear in Winter or when I don't fake tan. 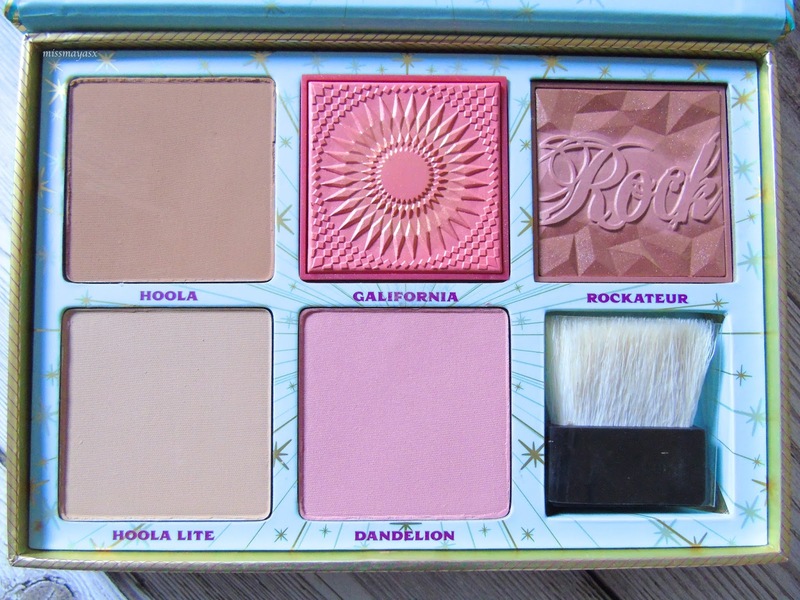 I also feel like it'll be a great contour shade as it's more cool toned than the original Hoola. I love travelling and unfortunately, I don't travel light haha... I always bring a bag full of makeup so I thought that this palette would be great for travelling as it has everything you will need in it. I think that Galifornia would look great on its own as it has shimmer so will give an illusion of a highlighter. Dandelion has been on my wishlist ever since I bought the Dandelion Shy Beam. I recently got back into wearing blusher after 5 years of swearing by bronzer and contour so I was pretty excited to start using this palette straight away. I find it gives a very natural blushed look which is perfect for an every-day wear, especially for people who are a similar skin tone to me. Last but not least, the Rockateur blusher. To be honest with you, I wasn't too fussed about it as the colours seem very similar to a blusher that I already own, but oh my is it a beauty! I love the shimmer in this blush, it's perfect for Spring as it adds a natural blushed look as well as some shimmer which can be a substitute for a highlight. 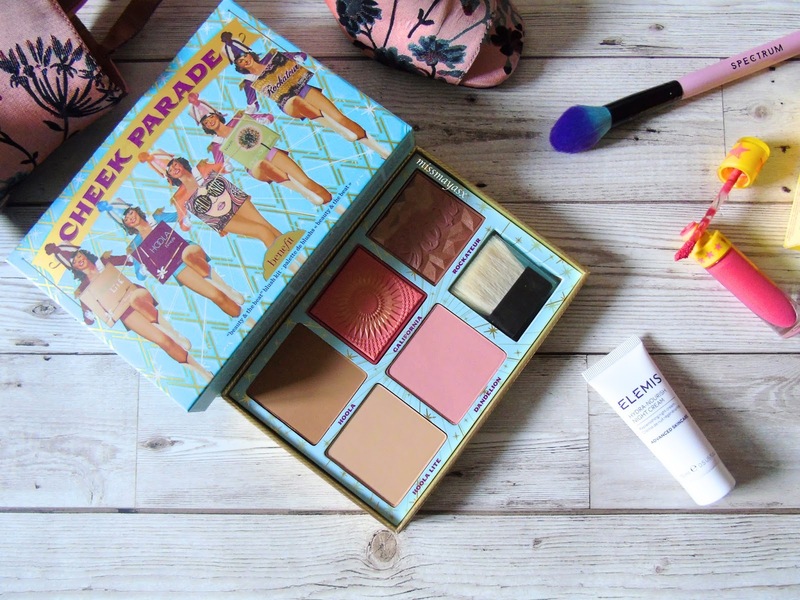 Overall, I must say this palette is amazing - it's not too big to travel with, you get a lot of product for your money which is great, and the products are great for all skin tones. The only downfall of this product is that it is still quite expensive compared to this set which actually has 8 products but costs less than 1?! Crazy - I just bought it as a treat for doing well at uni! What do you think? Would you buy this kit? 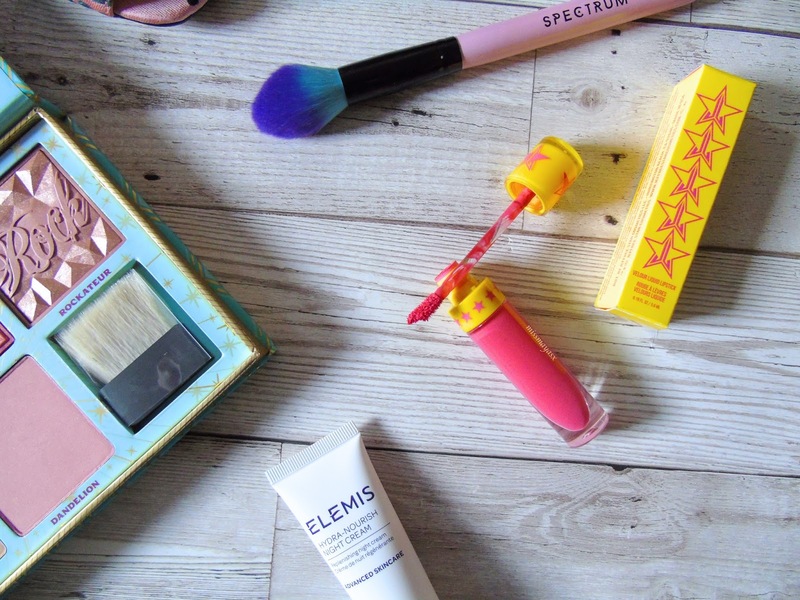 Have you tried any of the Benefit face products? This palette is great for travel and it has a great value too! A 20-something year old student based in the UK who's obsessed with everything fashion and beauty. I'm also passionate about travelling around the world and am happiest by the sea with a good book and lots of cocktails! 5 EYESHADOW BRUSHES YOU NEED IN YOUR LIFE - FOR ONLY £2! © VOGUE BY MAYA. Design by Fearne.